Durable, polyester-coated D1 tape is both water-resistant and sunlight-resistant and endures temperatures from zero to 194 degrees Fahrenheit. 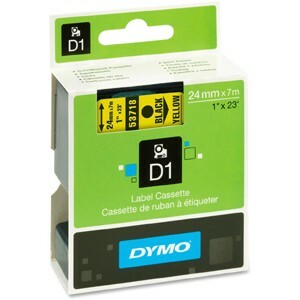 Patented, D1 tape cartridge features an easy-peel, split-back tape. 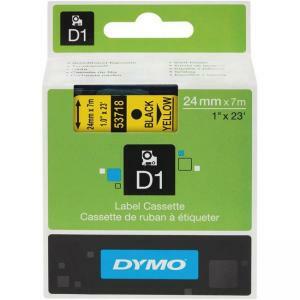 Special backing is split down the middle to make separation of the tape backing a snap for fast and easy label application. 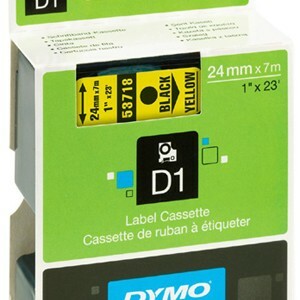 Tape is designed for use with Dymo LM300, LM400, LM450D, LM500TS, LMPnP Wireless, LMPC, and LMPCII LabelWriter Duo.